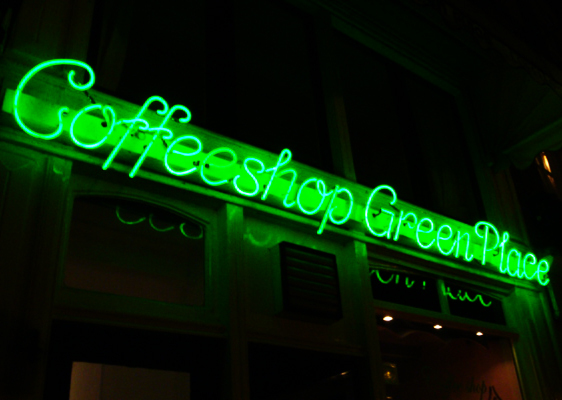 Green Place, not to be confused as part of the Greenhouse chain, is an easy going, cheery and friendly coffeeshop situated in the heart of Amsterdam. The very informative staff will make you feel welcome in an instant and are willing to part with any weed related wisdom they can offer you. The décor in the Green Place is of high quality in both aesthetic appeal and in comfort, making it an all around nice place to sit and socialise. For the warmer Amsterdam months there’s a terrace where you can vacate to with a stunning view of Nieuwmarkt. There’s a variety of weed and hash for you to buy and food and drink to rinse it all down with, and is recommended by many.